Home › Quilts › It’s a mystery! I really wasn’t going to join in the mystery madness/fun this time around….but the pictures of the link up lured me in. 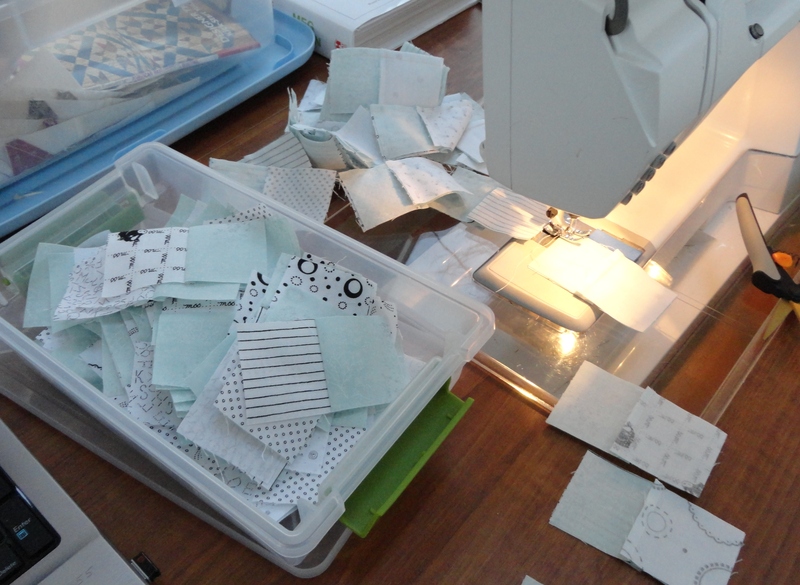 And, I had a few chunks of black on white left over from another of Bonnies quilts. Do you recognize Star Struck? I must have had a really good time collecting those black and white prints….I did 2 of these and still have leftovers. So today I pulled fabric from stash….I am not straying too far from the colors Bonnie is using. I have green, turquoise and coral-red and in lieu of the grey I found a really pale jade. Not sure if I will make it full size, maybe just a throw. There are lots of tempting colors and combinations….check them out at Bonnie’s quiltville. 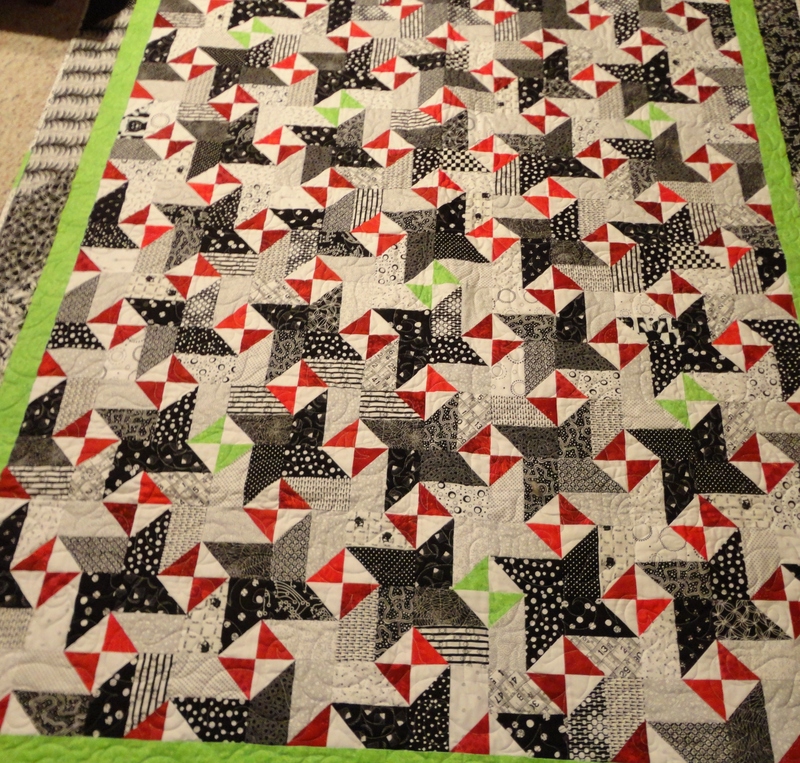 Your Star Struck quilt is fabulous! Love the little pops of red and green. Looking forward to seeing how your mystery develops with the colour changes.